October 12, 2018 6:09 pm. Dubious (right) has become the first Victorian-trained horse to win the Breeders’ Plate at Randwick. Dubious has created history with his Breeders’ Plate win at Randwick as the first Victorian-trained horse to win Sydney’s first juvenile race of the season for colts and geldings. 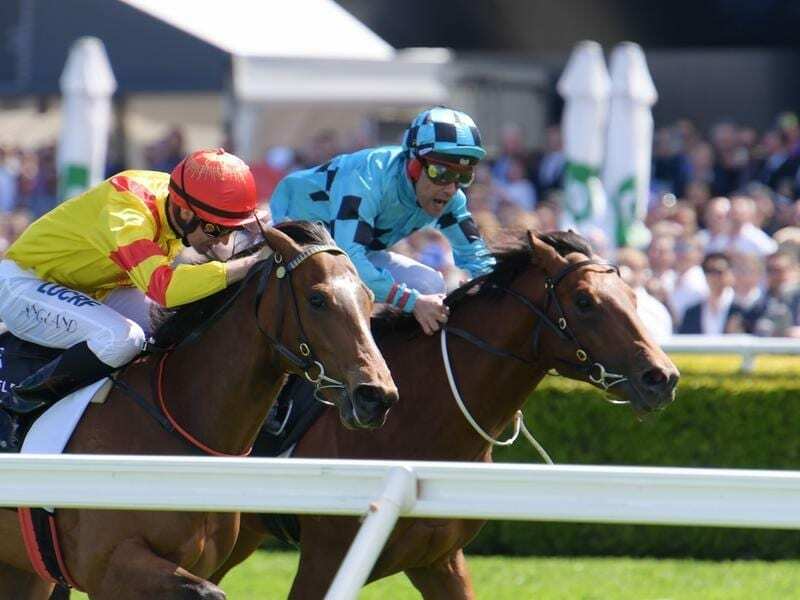 Trained by Ciaron Maher and David Eustace for Aquis Farm, Dubious was a $19 chance in Saturday’s 1000m sprint despite his win in a Randwick barrier trial 12 days earlier. After the colt held up the start of the race to be re-shod, Michael Walker was positive out of the gates with Dubious sitting off Covert Ops ($11) as they turned for home. The pair settled down to fight out the finish with Dubious getting the better of his rival by a short head. Krameric ($7) was another 1-1/2 lengths third. “He was our most precocious colt,” Maher said. “Shane McGrath from Aquis mentioned the idea. It’s a stallion-making race and that’s what we aim to do with this horse. So he’s started career very well. Maher said he intended to concentrate more on Sydney racing. “You’ll” definitely see more of me in Sydney,” he said. Dubious has spent the past three weeks staying with Rosehill trainer Gerald Ryan, trainer of the runner-up. “My bloke was brave,” Ryan said. “He had to go forward otherwise he would have been stuck four-wide. Covert Ops’ jockey Tye Angland concurred it was a brave effort. “He’s got a very sensible race brain,” he said.